An article published in the March 25, 2015 issue off the Am J Pharm Educ. is titled, "Examining Pharmacy Workforce Issues in the United States and the United Kingdom." The number of colleges and schools of pharmacy has expanded by approximately 50% in both the United States and United Kingdom over the previous decade. In the United States, continued demand for the pharmacy workforce has been forecasted, but this need is based on outdated supply figures and assumptions for economic recovery. In the United Kingdom, workforce modeling has predicted a significant future oversupply of pharmacists, and action within the profession has attempted to address the situation through educational planning and regulation. The most recent job outlook figures for pharmacists from the Bureau of Labor Statistics (BLS) at the US Department of Labor predict more than 41 000 new positions (a 14% increase) by 2022. The case of Weldon Williams, vs. Revco Discount Drug Centers, Inc., d.b.a. CVS Pharmacy Inc. involves a pharmacist (Weldon Williams) suing his former employer CVS. 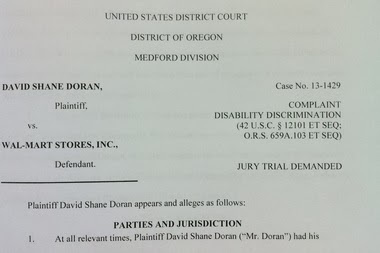 Williams filed this employment action alleging that CVS failed to accommodate his reasonable requests for assistance under the ADA, terminated him despite his FMLA request, placed unreasonable demands on him before allowing him to return to work, and treated younger pharmacists more favorably. Although this case was file in January, 2014, the case was petitioned and it appears that the petition was denied in October, 2014. In 1984, the Ernest Mario School of Pharmacy and two pharmaceutical companies initiated a collaborative pilot program to evaluate the potential contributions of clinically trained pharmacists within a pharmaceutical industry practice setting. The program has grown exponentially to include 12 partner companies (including several of the top ten global companies) within the pharmaceutical and biopharmaceutical industries. Over 500 Post-Doctoral Fellows have completed the Program to date, many of whom are pursuing influential and rewarding careers in industry throughout the US and abroad. Over 80 PharmDs now participate in the Fellowship Program annually. The Rutgers Ernest Mario School of Pharmacy Pharmaceutical Industry Fellowship Program is a structured program designed to provide hands-on training in areas ranging from coordinating clinical trials to acting as a liaison with regulatory agencies and research organizations, while preparing pharmacists for challenging positions within the pharmaceutical industry. The Campaign for Disability Employment is a collaborative effort between several disability and business organizations that seek to promote positive employment outcomes for people with disabilities by encouraging employers and others to recognize the value and talent they bring to the workplace as well as the dividend to be realized by fully including people with disabilities at work. People with disabilities can and do make important contributions to America’s businesses every day. By implementing good workplace practices, like maintaining a flexible and inclusive work environment, businesses can capitalize on the talents of qualified people with disabilities, benefitting everyone. U.S. Business Leadership Network (USBLN). The Campaign is funded by the U.S. Department of Labor’s Office of Disability Employment Policy (ODEP).